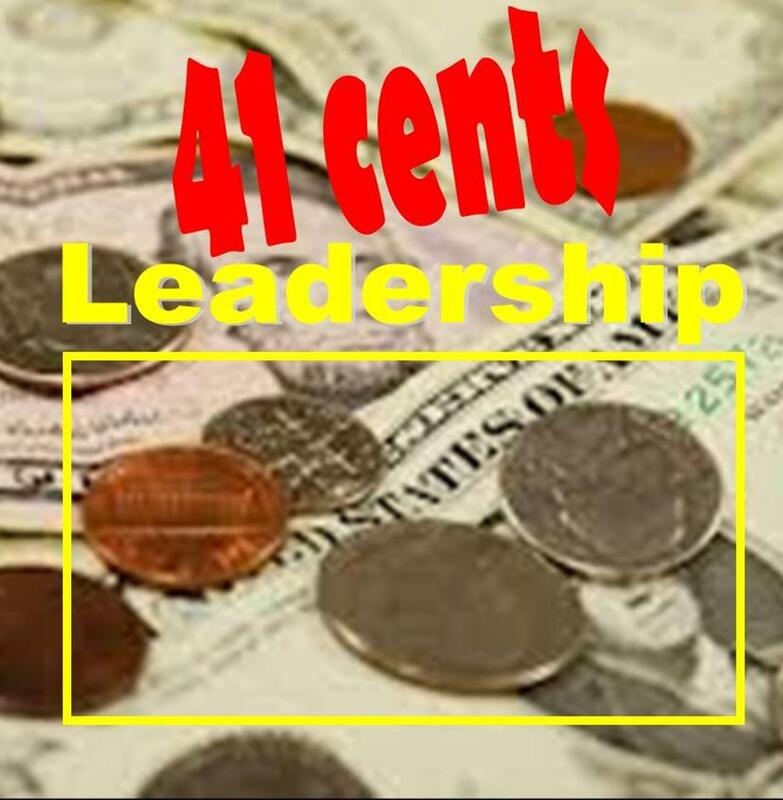 41 Cents Leadership – The placing of a quarter, dime, nickel, and penny in your pocket as consistent reminders of the importance of expressing appreciation to and appreciating expression of the individuals on your team. Transfer one coin to the other pocket each time you meaningfully connect with someone on your team through expressing appreciation or appreciating their individual expression. The goal … to transfer each of those coins at least once each day! Now, on to a leadership principle …Take a look at the quarter, dime, nickel, and penny. Stack them with the largest on the bottom, then the next largest, the next, and the final coin. Obviously you would have the quarter on the bottom, then the nickel, the penny, and finally the dime on top. The quarter is the most valuable contributor to the total 41 cents. It supports the rest of the team. But it’s on the bottom! Often times our strongest contributors aren’t necessarily the people you see at first glance. You have to look a little deeper to see the real picture. 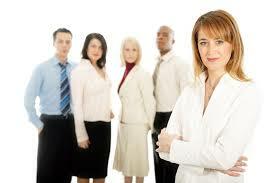 Who are those people on your team that are key strengths to the entire organization? Take some time today to appreciate their contributions! Think of that stack of coins as your organizational chart. Arranged by size, the coins do not align with actual value. Just because someone is in a certain layer of the chart or has a certain title on their name placard, doesn’t necessarily indicate their overall contribution to the organization. Right now, you can probably identify people that are higher on the organizational chart, but contribute very little to the health and productivity of the organization. And conversely, you can readily identify people lower on that same organizational chart that contribute significantly more than their role would indicate. Don’t allow a job title to be your filter of assessment. Look more closely at each individual – their strengths, their uniqueness, their character. Take some time to appreciate their contributions – regardless of where they are on the organizational chart! The most stable structure for these coins is in the arrangement you are looking at right now. Imagine if the dime stack were reversed … Now consider the pressures that an organization faces in today’s economic climate. There are the ever-increasing pressures to produce more with less, to beat last year’s metric by a strong 10%, and to properly position the organization for the next round of changes. Our people in the right places on the team is integral to our success! If you place those same pressures on a team where several people are not in the right fit, it is likely you will see failure or underachievement at best! Take the time needed to appreciate the expression of individuals on your team. Are they in the right places? If they are, continue to grow them there. If not, it’s time to make some strategic shifts. Go! Lead! Be bold in your leadership! This world needs difference makers! Marcus Buckingham and Curt Coffman, in their book First Break All the Rules, describe a talent as any recurring pattern that can be used for good. I absolutely love the definition. It opens up a world of consideration when looking at ourselves and our teams. We are talented people. We are wired in certain ways that can produce incredibly positive outcomes! So, if this idea is a principle to lead by, then we can make the following analogy. Pull those coins out of your pocket… Each of these coins has value … different levels of purchasing power but all have value. On our teams people will have differing impact for the organization but no one is invaluable. To the entire 41 cents, the quarter contributes 61%, the dime 24.5%, the nickel 12%, and the penny 2.5%. Each have differing impact in the outcome. You do know your team, however. You do know their talents and their not-so-talents. You have placed them in their best fit so they can do what they do best! Now, let’s say it comes to reviews in your fiscal year and both the “quarter” associate and the “dime” associate are under-performing by 50%. The quarter associate’s lack of performance is costing you nearly 1/3 of your business productivity because remember they contribute 61% to the overall business at optimal performance. And how about that dime associate? Yes, they are important and they are costing you nearly 1/8 of your business productivity. But which is the bigger threat? You know you are going to need to commit some energy to investing in these two associates. You know you only have so much energy and time! Where are you going to leverage that energy most? One choice will likely improve your team by approximately 30% and the other by approximately 12%. Too many times are perspective gets skewed by personality, perceptions that are not necessarily accurate, and even our own biases! Be objective and make the best decisions to bring the strongest RETURN ON ENERGY INVESTED! Do you believe people’s contributions to the overall productivity vary? Do you find yourself leveraging energies toward areas that will not yield much return on energy invested? What skills have you developed to become more effective in leveraging your energy and time in areas most needed? 41 Cent Leadership – A Penny is Worth 2 Cents? According to usmint.com, in 2011 a penny cost 2.41 cents to make. The penny actually cost more than double to make versus its applied value! Parenthetically, in that same year, the nickel cost 11.18 cents to manufacturer while the dime cost 5.65 cents and the quarter cost 11.14 cents. Think about some of the people on your team that seem to be only bringing a “penny” of value to the organization. Is it possible that there is more value there? Is it just possible that, for whatever set of reasons, they could be producing at a higher level if we, as their managers, could unlock that potential within them? I believe there are several ways that we might unlock more value in our team. Among them, I’ve listed 4 below. Our team needs a clearly articulated organizational vision. It needs to be more than just a framed saying hanging on the wall in the CEO’s office – it needs to be a living and breathing idea that shapes the strategy, processes, actions, and reactions within the organization. Built upon that, our team needs a clear mission. How does our department, team, division, or region contribute toward fulfilling that vision? How does my immediate team contribute toward that overarching vision? Finally, our team members need a clearly stated set of job expectations with outcomes. This can take on different shapes, but they must understand the expectations and the measurements we are going to use to determine if they met the expectations. Just the other day I was walking my store with the manager, the district manager, regional vice president, vice president of Merchandising, and the CEO. Now, you need to understand that our company has over 2000 stores and employs over 330,000 associates so this was a big deal that these folks were in our store. As we were walking the store and introducing associates, our regional vice president began a conversation with a lot loader – one of the lowest paid positions in our team. He asked him about his training. He had just started with us maybe 2 weeks prior to this walk. What did it involve? Was there an orientation and computer training, a hands-on piece, etc.? The young man answered no to every single question and nuance of the question! I, as an assistant manager, was absolutely embarrassed. This same scenario actually took place again when the RVP asked another associate the same set of questions – this time a cashier that had started with us approximately 3 weeks previous to this walk. This walk was a big deal and our store passed with flying colors in most other metrics and inquisitions. However, I took away from that walk that we had dropped the ball with those two young men. There was training in place for them. There is an orientation every weekend for our new associates. There are trainers in place to help new associates learn their position and learn what resources are at their disposal to fulfill their job expectations. We simply did not care enough for their well-being to take the time to walk them through those paces. Instead, we were happy to fill a hole with a body. Needless to say, that’s not the most effective way to build a team! Our people need to know that we care about them! A few generations ago, this might not have been seen as too important. People tended to fulfill directives from their leaders because they had the position of boss and that’s what you do when the boss gives instruction. Those days are long behind us. Today’s worker is looking to join a team where they feel like they belong. If we are going to attract and retain the best talent out there, we need to build environments where people know that they matter! 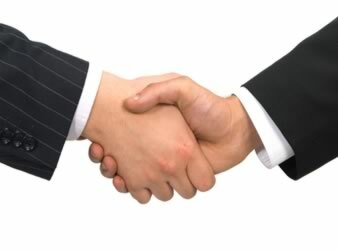 They build that perception through our personal interaction, our communication, as well as our policy and procedure! Our people need an environment that is saturated with the purpose of opportunity to grow competencies and develop personally. They need to know that their supervisors are committed to their growth and advancement. What tools do you have in place for people to intentionally develop their skills? What people on your team are wired to invest in others in a mentoring type relationship? It is time to leverage some of your energy and resources toward enhancing this element of your organization if is not already in place and thriving! Certainly not all “pennies” will respond to these four opportunities with increased productivity. However, before we write off someone as just a “penny,” we might serve them well by taking a good look at our organization and seeing if there are some places where we can improve the health of the environment we provide. You’ve got the four coins in your pocket. The quarter, the dime, the nickel, and the penny all represent the diversity that you have on your team. Think about this. What roads did those coins travel before coming into your possession? One thing is for sure … all likely had different routes before crossing your path. Think of all the ways they could have been used, saved, bought something meaningful, bought something frivolous or even illegal. They could have been misplaced, been forgotten in the wash, driven over, lost out in the weather, dropped in machinery, stored in a drawer, tub, car console, etc. If those coins were alive, what would be the implications of those experiences? If those coins had feelings, habits, or thoughts, how would all of those be affected by their experiences? The people we work with are no different. Think about the woman who works in accounting … she dresses the part – most of the time and performs her job at an average level – most of the time. But if you get to know her, you will find that she has been told all her life that she doesn’t really matter – she’s a nobody. Or the gentleman on your outside sales team that is aggressive, almost domineering. Down deep it is very possible that he is striving for something that is missing – and he has been on a journey for a long time to find that something to fill the void. Still there is another person who offices a few doors down from you. She barely talks in meetings. You would barely notice her except that her work is always completed as such a high level that she shows up at the top of several metrics each week, month, and year. But ask her a few deeper questions and you find that she worked 2 jobs as a single mom for 5 years – 5 really tough years! Then, she landed this job – one that adequately pays the bills by itself – and she loves it as well… but she doesn’t hear much praise for her accomplishments and is constantly driven by a fear that she is not meeting the standard. She feels the pressure daily to provide for her family! Do all these backdrop stories affect the individuals on our teams? Yes. Do their histories affect how they work on our teams? A resounding yes. Do their histories give us hints as to what motivates them and what likely hinders them? A unequivocally strong yes! So, take time to get to know each one on your team. There are great stories and tough stories to discover about people. There are clues to key on to become a better leader for that individual. Don’t miss them. Let’s get out there and create positive momentum in people’s lives! What are your thoughts on this? What ideas have you seen work to help leaders key in on these differences? One book that I am reading right now is “First, Break all the Rules” by Marcus Buckingham and Curt Coffman. This book really keys in on the idea that great managers understand that people don’t change that much and it is their job to help people further develop what is uniquely them to execute the shared team goals. The power of 4 coins is quite simple. Take a quarter, dime, nickel, and penny and place them in your pocket each day. I use those coins for two things. Firstly, every time I genuinely express appreciation to one of my employees, I move a coin from one pocket to the other. My goal is to transfer all coins to the other pocket each day. (I know that Zig Ziglar shared the use of coins and expressing appreciation to your employees – so this idea is not original with me.) However, the second way I use those coins is something original. I use each of those coins, totaling 41 cents, to remind me daily that we are one team made up of very different individuals! Take a look at those coins – they each had a different history before crossing your path. They each have different markings. They each have differing sizes and weights, and costs to manufacture. All of those are differing characteristics that I see in my team. If I do not lead them as a team of individuals my success and theirs will be very limited. So, I encourage you – become a 41 Cent Leader. Over the next days together, we will unpack some of the understanding that can be gained by this powerful analogy.